Being a mix of cuisines, the Brazilian dishes were influenced by many other countries, that is why they have many similarities with its Latin American neighbors. Although the meals differ from region to region, one can say, that they are uniquely delicious. In the following post, we have listed the most typical dishes in Brazil, it might be useful if it happens to visit the country and want to know what culinary delights are waiting for you in the land of Amazons. 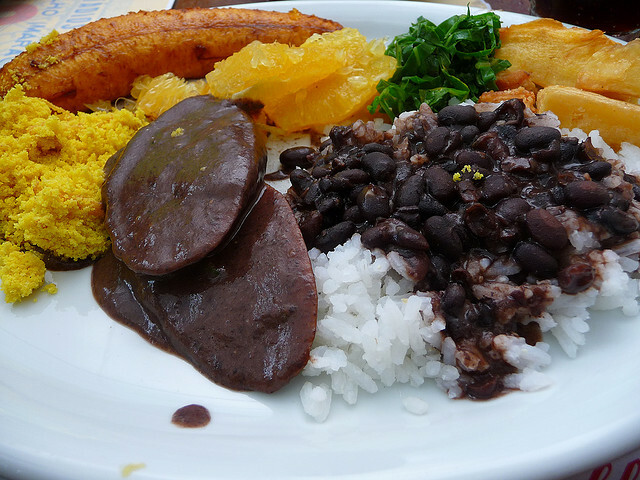 It is known as the national dish of Brazil made of black beans and lots of meat. Usually it takes hours to cook this main course. 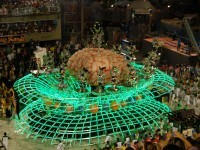 It is served on every important events in Brazil. The way of cooking it really depends on the region. Its main ingredients are: black beans, beef, sweet sausage or other smoked meats, bay leaves, onion, garlic and olive oil. Many restaurants have feijoada days, so being a very popular dish Brazilian people eat feijoada all year around. Frango com Quiabo is another favorite food in Brazil. It is a dish of stewed chicken with okra. Its main ingredients are: chicken breast, lime, vinegar and oil, garlic, salt and pepper, okra, onion, tomato and chicken broth. 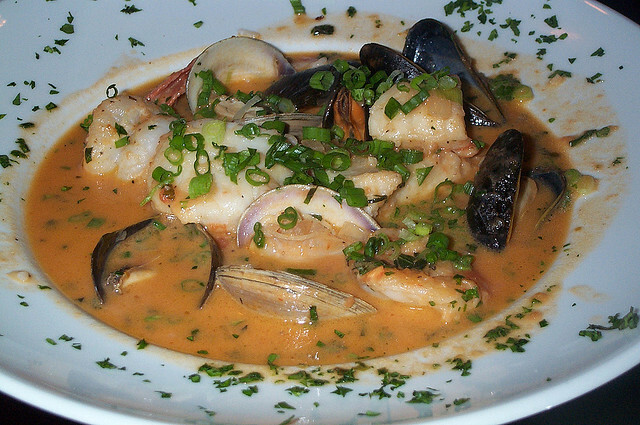 Moqueca is an authentic Brazilian stew. It is a favorite seafood stew, consisting fish, tomatoe, garlic, and cilantro. It has two variants: Moqueca Capixaba from the Southeast regions and Moqueca Baiana from Bahia, in the Northeast. Moqueca Capixaba is influenced by the Native Brazilian cuisine: it has olive oil instead of Palm oil with urucum pigment is added and it is cooked in clay pan. The food is often seasoned with tomatoes, cilantro and chives. Moqueco Baiana: has its roots in the African cuisine, in addition to the basic ingredients palm oil, coconut milk, crab or shrink are also added. Farofa is a traditional Brazilian dish consisting of manioc flour, butter, onion, bacon, parsley and salt and pepper. It is often served as a slide dish with grilles meat or feijoada. It is known as a cheese bread in Brazil. They are typically enjoyed for breakfast or as an afternoon snack and it is often served with dinner as well. Other specialities are: Borreado: meats cooked in clay pot and served with farofa and banana. 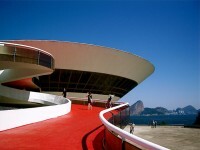 Caruru: It was brought from Africa to Brazil, made of okra, onions, shrimps, peppers and oil. Cozido: a stew with potatoes and other vegetables. Xinxim de galinha: chicken meal cooked with garlic and lemon.